Enhancing & inspiring lives through healing & hope with horses & humans. All of the horses have been rescued from slaughter. United In Light, Inc. rescues mature draft breeds that are not as adoptable due to their age, injuries and lack of training. We consider ourselves to be a retirement home for these worn out bodies, a place to receive healing and to be joined with other horses of their kind to live out the rest of their lives free...free to lay down and rest, free to jump, run and play, free to eat healthy food and drink lots of clean water. Free to make their own decisions about wanting to trust us again….and they always do, thanks to you. When we first unite new horses together, we've been witnessing a ritual of welcome. The other horses run to the newcomer and touch crown to crown with each other in a long moment as if to say, “Welcome old friend, we have been waiting for you”. Then the fun starts as they run around at the realization of their freedom. Shouldn’t we all greet others that way? We also have programs that allow all people to come and participate in healing workshops. It is quite a sight to have an elderly woman smiling and brushing every horse here, then to look at her family as they were all in tears. It was the first time in ten years that they had seen her with a smile on her face. ​That is what United In Light Inc. is all about. Mission Statement for United In Light, Inc. Enhancing and inspiring lives through healing and hope between horses and humans. To provide Sanctuary to all mature draft horse breeds than have been rescued from an untimely death. To provide a peaceful, loving environment throughout the rest of the horses’ lives. To provide a place where humans and horses are reunited for healing and finding inner peace. 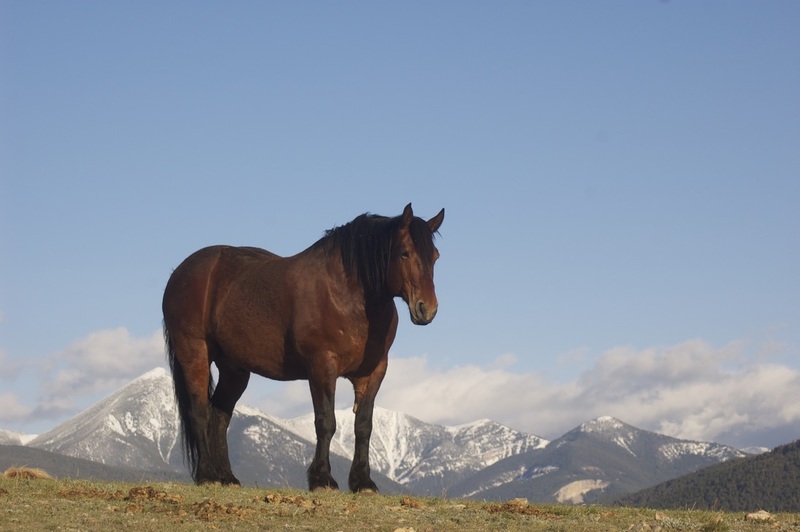 To provide emergency assistance to horse owners in Montana due to natural disasters. All Gentle Giants listed are in order of time Rescued. We have 10-12 Giants residing at the Sanctuary at one time. SunDance (previousely named Big) was found in a feedlot in NV with Squire. Several supporters stepped in prior to these boys going on a meat truck headed to slaughter and pulled them out so they can reside here at United In Light. SunDance arrived at the UIL ranch July of 2014 at the age of 14. Squire (previously named Rob) was found in a feedlot in NV with SunDance. Several supporters stepped in prior to these boys going on a meat truck headed to slaughter and pulled them out so they can reside here at United In Light. Squire arrived at the UIL ranch July of 2014 at the age of 10. Ashley pictured here with Sundance, is our first and only nondraft! Ashely was also at the NV feedlot and just minutes to being led on the meat truck to slaughter the UIL board members said take her! She has been a great blessing here at the ranch. Very sweet disposition and all the Giants love her. She has also been instrumental in the educational program as a comparision between draft breeds and non draft breeds. Ashley & Lucky have become very fond of eachother. She arrived at the UIL ranch in July of 2014 at 3 years old. Malcolm came to us via concered workers of a MT Ranch when he was not able to perform work anymore. They contacted UIL so that he could continue his life rather than be send to slaughter. Malcolm is another sweet giant who loves attention from humans. He also LOVES hanging out with the elders. Jake and Malcolm have become inseparable! Malcolm arrived at the UIL ranch in August of 2014 at 14 years old. Katie arrived at UIL as a 20 yo Belgian mare in April 2015. She is 17+ hands and has lameness due to severed XYZ ligament. Katie Girl, was rescued from the New Holland Auction in 2006 by Gentle Giants Draft Rescue. Gentle Giants Draft Horse Rescue contacted UIL to see if we had room available for her so they could rescue more horses. She is a 23 year old Belgian Mare. Bentley arrived in April 2015 at the age of 20 yo. He is 17+ hands & Lame due to ringbone. Bentley was rescued from New Holland Auction in 2012 by Gentle Giants Draft Horse Rescue in MA. 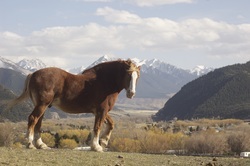 ​Gentle Giants Draft Horse Rescue contacted UIL to see if we had room available for him so they could rescue more horses. He is a 23 year old Belgian. Aribella came to UIL in April 2015 at 12 years old. She has Lameness due to suspensory desmoiditis. 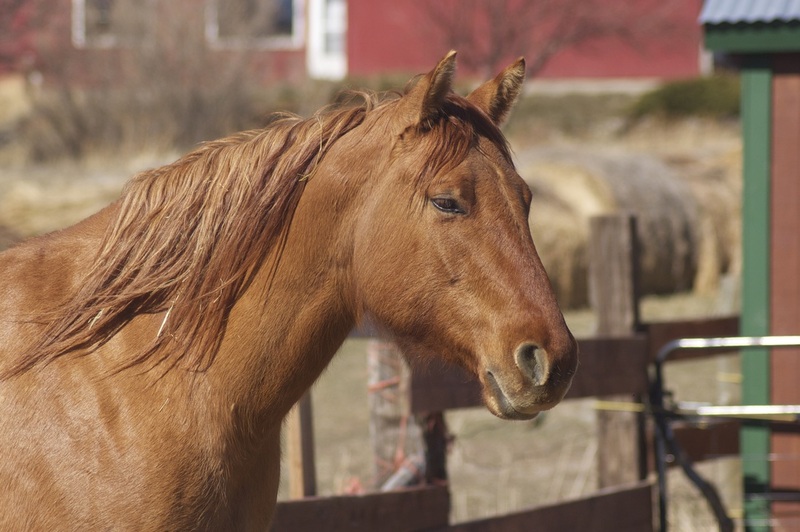 Aribella was legally removed from her home (along with 7 other draft horses, 3 of which had to be humanely euthanized due to their level of neglect) in 2014 by the Humane Society of the Harrisburg Area, and placed in Gentle Giants care. Wonder was orginally rescued from going to slaughter from a PMU Ranch in Canada at the age of 11 months! Then due to troubled times the owners contacted UIL. Wonder arrived at UIL in May 2015 at 7 years old. She is a 10 year old Percheron PMU Mare. Arrow was (aka Guthrey) rescued from a feedlot in Colorado. His age is unknown at this time (20 plus) and he is possibly blind in his left eye. I guess someone thought his life was done...we didn't think so.. He arrived April 1st, 2018 to United In Light. ​Found in Louisiana Feedlot and out of 20 that found homes, Hawk, Eagle and William were left with hours of being loaded up to slaughter. The three boys ended up having a horrific journey from LA to MT. They ended up in WI for a time as the transporter dragged Williams leg for over 4 miles. All the horses in the transportation were at body grade levels of 2 or less, William had to be euthanized. We were grateful for Riding with Angels Rescue in WI were they were giving great care until they were able to be brought home to MT. The boys are inseperable, definitely brothers. They are huge loves and we are so grateful we were able to rescue them. You can find more about William on Rainbow Bridge page. Hawk and Eagle arrived in the evening of June 28th, 2018. They are in their 20's, belgian geldings. Tom was originally a part of a team that the owner had crossed over so Tom and Jerry went to a wonderful private sanctuary for many years. Jerry had crossed over and Tom was the only draft in a large herd. We were contacted to see if we were able to take him for his last years. Tom is a 25ish year old, gelding, Percheron. He is fitting into the herd wonderfully and hanging out with Malcolm, Hawk, Eagle and Arrow(the elders). Over the years we have also rescued 7 dogs and 1 cat & finding wonderful homes for most of them. 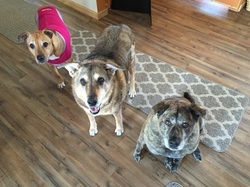 Maria, Sadie, Madison pictured here have remained with us at 13, 14 and 12 years old (as of 2017). All of these ladies were rescued in AZ. Maria and Madison because they are pit crosses and AZ was a no tolerance to Pit breeds. Sadie and her mom had parvo as a newborn and was disowned due to cost of treatment. United In Light is fortunate to have these wonderful ladies as a part of the ranch life.